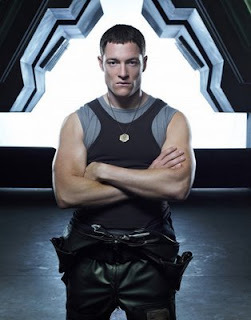 Tahmoh Penikett has been cast in the new Sci Fi Channel tv show/miniseries Riverworld. I am happy for Tahmoh but it makes me wonder about Dollhouse. I really hope that show sticks around as the Joss Whedon episodes have just started. Anyone remember the first Riverworld miniseries on the SciFi channel I think it was 204 or 2005. I am not sure if the ratings were just bad or if it had something to do with the death of Kevin Smith.